Michael Coffey has been an integral member of H-E Parts since 2008. As President and Chief Executive Officer, Mr. Coffey has oversight over the business, leading company operations, strategy and leveraging H-E Parts’ competitive advantage. Mr. Coffey serves H-E Parts with over 25 years of experience in heavy equipment fleet management, equipment distribution and construction, as well aggregate support services. Prior to joining H-E Parts, Mr. Coffey was Vice President of Equipment Services for Oldcastle Materials (CRH – NYSE) a global leader in aggregates and construction. As Vice President, Coffey led strategy, policy, procurement and operating metrics for a multi-billion-dollar heavy equipment fleet with over 42,000 assets. Mr. Coffey also served as General Manager for a west coast-based Komatsu dealership and has extensive experience with product support and dealership businesses. 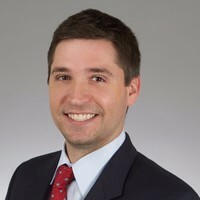 Mr. Coffey’s education background consists of a Bachelor’s of Science from Nyack College, Nyack, New York and a Master’s of Business Administration from the Goizueta School of Business, Emory University, Atlanta, Georgia. 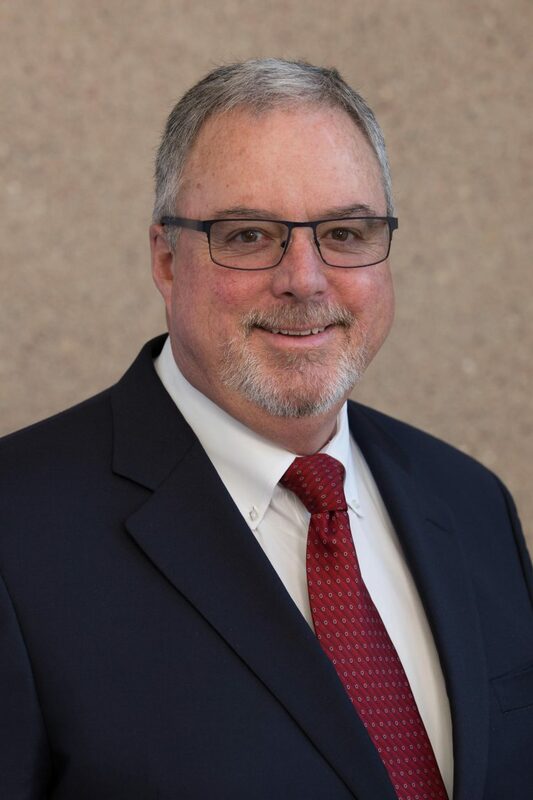 Steven Honnold joined H-E Parts International in June 2014 as Chief Financial Officer, bringing over 30 years of diverse international experience in accounting and finance, strategic planning, contract negotiation, marketing analytics and compensation planning. In his role as CFO, Mr. Honnold is responsible for identifying and driving paths forward to increase the value of the company for all stakeholders, including shareholders, lending partners, suppliers and employees. Mr. Honnold works closely with all H-E Parts’ subsidiaries to identify and implement steps to maximize cash flow though improved planning, analysis, the use of working capital and further investments in the business. Prior to joining H-E Parts, Mr. Honnold served as CFO for Metcam in Alpharetta, Georgia. Earlier in his career, he filled several Vice President roles in finance, contract pricing of national accounts, compensation and strategic planning. For the first 17 years of his career, Mr. Honnold worked with the Eastman Kodak Company in Rochester, New York, in various finance roles and as a Chemist. Mr. Honnold earned his Bachelor’s of Science degree in Chemistry from the State University of New York at Geneseo and he completed his MBA from the University of Rochester Simon School of Business in Rochester, New York. William L. (Bill Brown) joined H-E Parts in 2013 as President of H-E Parts Mining located in Billings, MT. In mid-2017, Mr. Brown was promoted to Vice President & General Manager of Mining Solutions in North America, overseeing the Mining, Engine and Used Parts division of North America. Mr. Brown has over 35 years of experience serving the mining industry with distributed, manufactured, and remanufactured parts and components. Mr. Brown leads the North American operations while also providing support to H-E Part’s international accounts across the world. Prior to joining H-E Parts, Mr. Brown held various positions including Vice President of Operations throughout his 31-years with Brake Supply Company, an aftermarket supplier of replacement parts and repair services for the mining and marine industry. As Vice President of Operations as well as serving on the board of Directors, Mr. Brown led all remanufacturing operations with a focus on safety, quality and production metrics for four U.S. remanufacturing centers. Mr. Brown earned his Bachelor’s of Science from Colorado State University in Fort Collins, CO. He has served on numerous mining industry and volunteer boards; specifically, President of the Wyoming Mining Associates and jointly served on the Board of Directors for the Wyoming Mining Association. Alfonso Teplizky Ergas became a member of the H-E Parts team in 2013 when the Morgan Chile and Peru subsidiaries were acquired by H-E Parts International. Mr. Ergas brings to H-E Parts more than 20 years of experience in general and commercial management. Mr. Ergas leads the South American team with exceptional leadership, strategic planning and business development capabilities. He currently oversees 200 employees between our Chile and Peru locations. Prior to his time with H-E Parts, Mr. Ergas worked as a Corporate Trainee for The Ergas real estate investment group. His investment portfolio included several commercial, residential and industrial properties located throughout the United States and Canada. Mr. Ergas has an extensive educational background and speaks both Spanish and English. He has earned his Business Engineering degree from Universidad Diego Portales, his Marketing certification from the Universidad de Chile as well as his MBA from Iede Chile Institute of Executive Development. 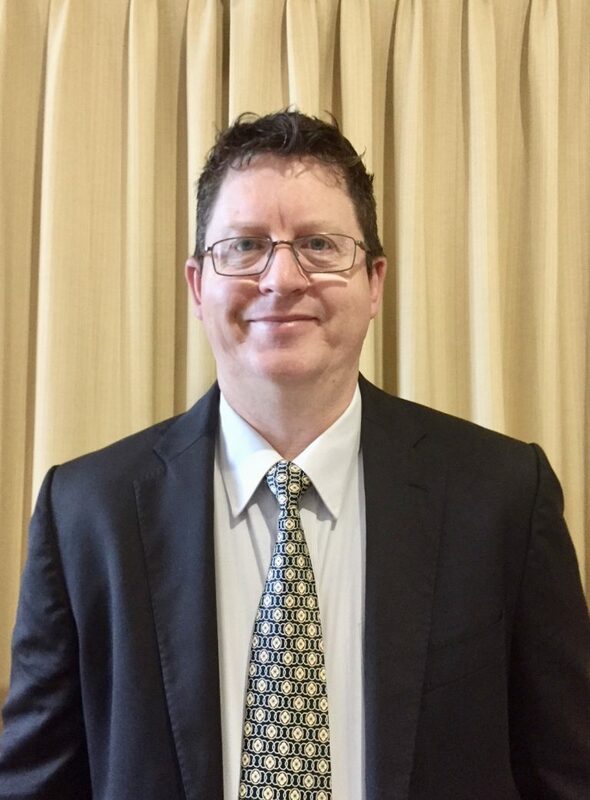 Gordon Fogwill has been a key player of H-E Parts since 2007, at which time he joined the team as a Business Development Manager for western Australia. Mr. Fogwill brings to H-E Parts more than 25 years of experience in mineral processing. 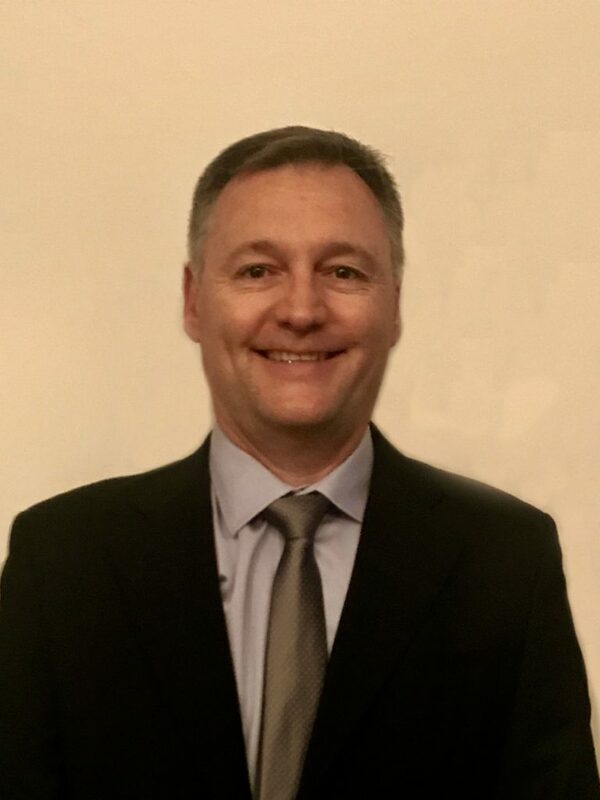 In his time at H-E Parts, Mr. Fogwill has been responsible for the Crushing Solution operations internationally for Australia and Malaysia and he currently serves as the Director for the Chinese subsidiary. Prior to his time at H-E Parts, Mr. Fogwill held senior positions at De Beers, GL&V, Screenex, Batemans Engineering, and Rio Tinto Iron Ore. Relying on his previous leadership experience, Mr. Fogwill now leads the Crushing Solutions division with keen insight into mineral processing, technical management, sales strategy and success, in addition to corporate management. Mr. Fogwill’s educational background includes an Engineering degree (Metallurgy) from the University of Pretoria and a MBA from Edinburgh University. Ashley Hams has been a part of the H-E Parts team since 2008 before being promoted to General Manager in 2009. Mr. Hams was with the H-E Parts’ acquired subsidiary, Birrana Engineering, for over 21 years. Since H-E Parts added the Cooling Division and Engine Division to Australia in 2016 with subsequent facilities opening in 2018, Mr. Hams has become responsible for all mobile equipment business activities in Australia and Africa as well as providing support to other regions of H-E Parts for “Birrana” components, as required. Prior to becoming General Manager, Mr. Hams resided in Mackay, managing and developing the Birrana business for over 14 years. Mr. Hams has a Bachelor of Technology in Mechanical and Manufacturing Engineering from the University of South Australia as well as a MBA from Deakin University in Victoria. Pam Minteer, SPHR, SHRM-SCP joined H-E Parts International in March 2017 as Vice President of Global Human Resources. Mrs. Minteer brings over 20 years of Human Resources experience with mid-sized organizations. In her role as VP of Global HR, Mrs. Minteer is responsible for creating one unified culture and identity for the organization, which has been rapidly built via acquisition. Her responsibilities include organization wide HR Strategy, to include Policy, Procedure and Process, Talent Acquisition and Employer Branding, Compensation & Benefits Strategy, Performance Rewards and Measures, Risk Management, Succession Planning and Leadership Readiness. Prior to joining H-E Parts, Mrs. Minteer served as Vice President, Human Resources for Fenner Dunlop Americas, and also previously served as the top Human Resources executive for the Pittsburgh Pirates for ten seasons. Mrs. Minteer earned her Masters in Business Administration and a Bachelor of Arts in Psychology from Duquesne University in Pittsburgh, Pennsylvania. She holds two professional certifications; Senior Professional in HR from HR Certification Institute and Senior Certified Professional from the Society of HR Management. Michelle Robless joined H-E Parts Australia Holdings in July 2009 as Financial Controller. Michelle brings 20 years experience in Management Accounting from both the private and public sectors. Michelle is responsible for all aspects of the overall accounting function for the Australian group, including financial and management reporting, budgeting and statutory and tax compliance. Prior to joining HE Parts, Michelle was employed for over 13 years as the Financial Controller for our Australian subsidiary, Crushing & Mining Equipment. In this role she was a part of the management team and was responsible for the Accounting, Administration, Information Technology, Purchasing and Distribution departments. Michelle’s time at CME and previous experience at Whittakers Limited (timber industry), as Company Accountant, has equipped her with extensive experience in process flows, job costing and manufacturing accounting, which has enabled her to successfully implement new ERP systems across multiple sites within the organization. Donald Pfaadt joined H-E Parts in the summer of 2018 as Vice President of Strategy and Business Development. Mr. Pfaadt is responsible for overseeing progress related to company strategy, global marketing, M & A activity, sales systems and functional support. Mr. Pfaadt works closely with the leadership team to implement strategic growth for H-E Parts. Mr. Pfaadt comes to H-E Parts after 10 successful years in a leadership role with H.D. Supply. H.D. Supply is a $6B industrial supply distributor located in the Greater Atlanta area. As a Senior Director, Mr. Pfaadt was responsible for the organization’s sales operations and strategic business development. Mr. Pfaadt received undergraduate degrees in Finance and History from the University of Kentucky before going on to receive his MBA from the University of Georgia. Ian Olivieri joined H-E Parts on March 1st, 2008 as Managing Director of H-E Parts Australia Holdings Pty Ltd. Mr Olivieri brings to H-E over 30 years of experience in senior management roles within the Australian capital equipment industries and associated product support activities for the construction, mining and quarrying equipment markets. As a Director, Mr. Olivieri serves as an advisor and director regarding strategic direction, acquisition, and general business oversight. 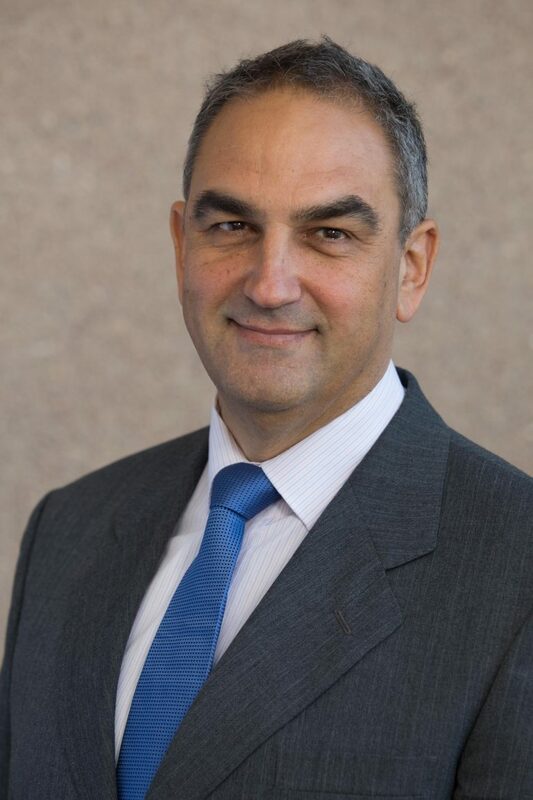 Prior to joining H-E Parts, Mr Olivieri spent the majority of his career leading various regional dealership operations for Komatsu construction and mining equipment across Australia. Initially covering Victoria, South Australia and Tasmania, Ian’s role eventually expanded to the combined region of Western Australia and the Northern Territory. In 1997 he was appointed as the first Australian Managing Director of Komatsu Australia Pty Ltd. In this role, Mr. Olivieri was responsible for the importation, distribution and sales of Komatsu construction and mining products throughout Australia, New` Zealand and New Caledonia, a position that he held for seven years; during which the company grew to sales in excess of $800 million per annum. Mr Olivieri is a fellow of the Australian Institute of Company Directors and an Associate member of The Australian Institute of Quarrying. Steven R. McBrayer joined H-E Parts International at its founding in 2006. During his first eight years at H-E Parts, he served as the Chief Financial Officer and was instrumental in the execution, integration and professionalization of the company’s eight strategic acquisitions. In 2014, upon the retirement of H-E Parts Founder and CEO, J-P Richard, Mr. McBrayer was appointed as Richard’s successor and promoted to President of the company. During his time as President, Mr. McBrayer oversaw a globally integrated organization with over 750 employees and direct operations in seven countries, reflecting a strong presence in major mining regions throughout the world. Mr. McBrayer retired from his role as President in 2018 but remains active in the business dealings of H-E Parts as a Chairman of the Board. Prior to joining H-E Parts International, Mr. McBrayer was Chief Financial Officer of Lanier Worldwide, Inc., a $1.4 billion office products company with operations in 27 countries. During his 12 years at Lanier, Mr. McBrayer successfully led numerous projects which streamlined financial reporting and improved operational efficiency. Additionally, he headed up the financial reporting side of the company’s IPO and spin off from Harris Corporation in 1999. 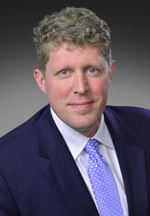 Mr. McBrayer also served in several finance and accounting positions with Electrolux/Regina Corporation prior to joining Lanier and started his career with Ernst and Young, LLP, where he provided consulting and audit services. Mr. McBrayer, a CPA since 1985, earned a Bachelor of Science in Finance and an MBA from the University of Tennessee and graduated from Emory University’s Goizueta School of Business Executive Program.